In part 1 of this article I outlined five key benefits that a company can expect from a WMS deployment. Here in part 2, I will discuss how a WMS can bring solid ROI performance while being a catalyst for continual improvement. You have the WMS, so where is the ROI? Getting ROI from a WMS deployment all depends on how soon and to what extent the business benefits from its investment. Although results will vary from distributor to distributor, breaking even and then achieving positive ROI can be fast and have very significant impact. Some well-organized distributors who are committed to efficiently driving improvements across their warehouse operations have recognized a positive ROI in as little as three to six months. In most cases, distributors implementing WMS for the first time will likely recoup their investment within 12 to 18 months. John Atkins, chief operating officer of Idaho-based C.A.L. Ranch, recently went through the ROI process with his newly deployed WMS. Although this company serves consumer farming customers, electronics and high-tech companies can reap similar benefits. It is important to remember that WMS deployments can be rolled out in phases, to reduce business disruption. Distributors generally start with receiving where they’re able to get inventory checked in and processed with 100% accuracy. By getting product identified and received accurately and efficiently, there will be a ripple effect on other process throughout the warehouse. Get it wrong and, well, let’s just say get it right! 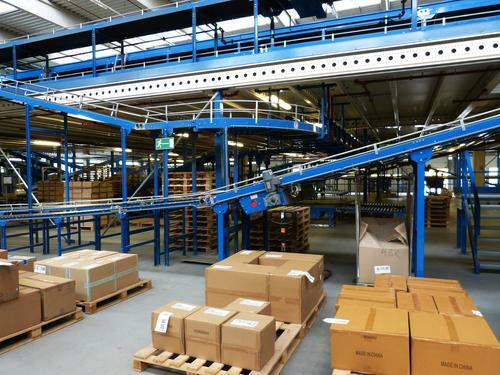 With receiving dialed-in, the focus can then shift to the remaining areas of the warehouse. It is also the area that if done poorly, introduces inventory errors right when product comes in the door. A warehouse that is abandoning manual inventory movements to launch a smooth rollout of a WMS will see huge returns even in the first year of deployment. As warehouse workers become more skilled using the WMS, a distributor can quickly enjoy additional benefits which not only continue to improve customer service, but make workers perform better and more purposefully. With quality reporting and visibility into each area of the warehouse, processes should routinely be reviewed and opportunities for improvement sought after. By determining optimal stocking locations and suggested stocking levels of products, the WMS should continue to provide the data and metrics to continue perpetual improvements for years to come. Many distributors already have some form of warehouse management system in place; if they don’t, graduating to a WMS should result in immediate improvements. However, in our current environment, it is more likely that distributors are considering replacing their current WMS for more advanced functionality, a more contemporary software platform, or a WMS partner that provides exceptional support. In these cases, the ROI equation expands to consider how the warehouse operation needs to help embrace the competitive advantage that is strategic to the business. What should you take away? Before embarking on a WMS deployment, a distributor must have clear objectives in sight. Fewer errors, higher productivity and greater opportunities to service the customer are just a few. An implementation like this will be an opportunity to partner with your provider to not only meet those core objectives to achieve ROI, but also to liberate the organization from old habits and learn from experts’ best practices driving higher levels of ROI for others in similar industries. How about driving these objectives as a daily practice so you can smartly grow your business without adding people in the warehouse? It is reasonable to expect improvements from the start. It is also just as important to realize that the goal should be for continuous improvements, and that will require continuous collaborative efforts across the warehouse enterprise.